It’s here, it’s here!!! Finally!!!! What if Peter Pan was a homeless kid just trying to survive, and Wendy flew away for a really good reason? Seventeen-year-old Kettle has had his share of adversity. As an orphaned Japanese American struggling to make a life in the aftermath of an event in history not often referred to—the internment of Japanese Americans during World War II and the removal of children from orphanages for having “one drop of Japanese blood in them”—things are finally looking up. He has his hideout in an abandoned subway tunnel, a job, and his gang of Lost Boys. Desperate to run away, the world outside her oppressive brownstone calls to naïve, eighteen-year-old Nora—the privileged daughter of a controlling and violent civil rights lawyer who is building a compensation case for the interned Japanese Americans. But she is trapped, enduring abuse to protect her younger sister Frankie and wishing on the stars every night for things to change. For months, they’ve lived side by side, their paths crossing yet never meeting. But when Nora is nearly killed and her sister taken away, their worlds collide as Kettle, grief stricken at the loss of a friend, angrily pulls Nora from her window. In her honeyed eyes, Kettle sees sadness and suffering. In his, Nora sees the chance to take to the window and fly away. 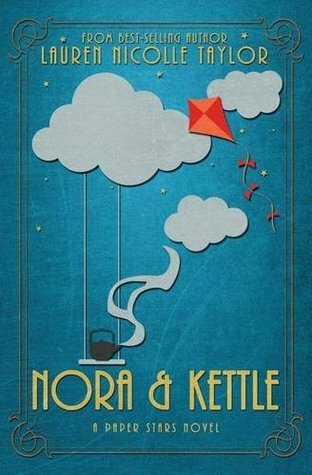 Set in 1953, NORA AND KETTLE explores the collision of two teenagers facing extraordinary hardship. Their meeting is inevitable, devastating, and ultimately healing. Their stories, a collection of events, are each on their own harmless. But together, one after the other, they change the world. I snort, push my sleeves up, and lean back on my forearms. She watches me, her eyes on my bare skin, and I wonder what she’s thinking. “Dances. Really? What’s to miss?” My experience with dances was one forced event in the camps where we watched the grownups awkwardly shift in lines to scratchy music. It didn’t look very enjoyable. “How do you know that?” I say, raising an eyebrow and touching my chest, mock offended. The candlelight twinkles like it’s chuckling at me. “I can dance,” I say, not sure why I’m lying to defend myself. I’ve never danced in my life. She stands up and beckons me with her finger, and I think there’s something wrong with my heart. It’s hurting… but the pain feels good. I cough and stand nervously. I don’t know what to do with my hands, so I put them behind my back. She giggles. Touches me. Runs her fingers lightly down my arms until she finds my hands. She grasps my wrists and I gulp as she places one on the small dip between her hips and her ribs, extending the other out like the bow of a boat. Her hand in mine. 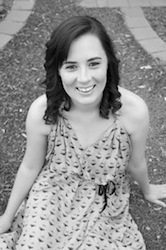 I follow her small steps and we wind in circles, avoiding the clumps of debris, painting patterns in the dust. I stare at my socks and her narrow bare feet, listening to the swish of them across the dirt. “You know, this is pretty weird without music,” I mutter, looking up for a moment and suddenly losing my balance. She exhales and brings us back to equilibrium. She starts humming softly. It’s a song I’ve heard before, but I pretend it’s the first time. Her voice is sweet, cracked and croaky, but in tune as she gazes at the ground and leads us up and down the back of the tunnel. This moment is killing me. I don’t want it, but I do. Because I know it won’t be enough and it’s all I’ll get. The end of the song is coming. It rises and rises and then softly peters out. We look at each other, understanding that something is changing between us, and we have to decide whether to let it. Please, let it. Her voice is like the dust of a comet’s tail. Full of a thousand things I don’t understand but want to. She stops and starts to step away. She’s so fragile. Not on the outside. On the outside, her body is strong, tougher than it should have to be. It’s inside that’s very breakable. I’m scared to touch her, but I don’t want to avoid touching her because of what she’s been through. That seems worse. So I do it, because I want to and I don’t think she doesn’t want me to. Her breath catches as I pull her closer. I just want to press my cheek to hers, feel her skin against mine. There is no music, just the rhythm of two barely functioning hearts trying to reach each other through miles of scar tissue. She presses her ear to my chest and listens, then she pulls back to meet my eyes, her expression a mixture of confusion and comfort. She breathes out, her lips not wanting to close but not wanting to speak. She settles on a nervous smile and puts her arms around my neck. I inhale and look up at the ceiling, counting the stars I know are up there somewhere, and then rest my cheek in her hair. I don’t know how she is here. I don’t know when she’ll disappear. We sway back and forth, and it feels like we might break. That we will break if we step apart from each other. I can’t let her go. I think I love dancing. She is a 2014 Kindle Book Awards Semi-finalist and a USA Best Book Awards Finalist.